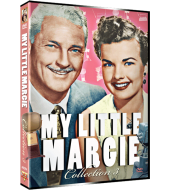 In our 3rd collection of My Little Margie, Gale Storm plays Margie Albright. Margie is nearly 30, not married, no job, lives at home, AND still getting an allowance! She spends her time whining about how little money she gets, scheming to find ways of making more money or helping her Dad out of a jam. All this usually gets her into a jam. 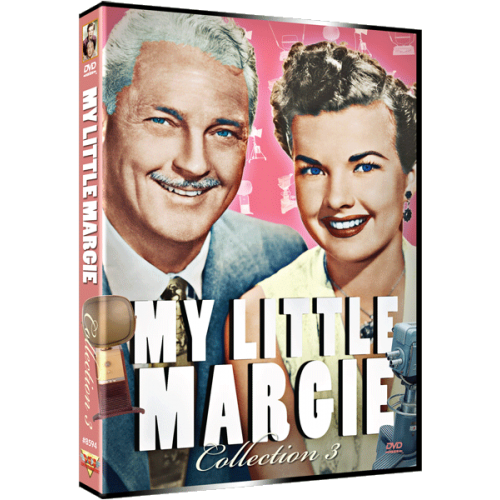 Her Father, Vern Albright, is played by Charles Farrell. He works for Honeywell & Todd, an investment firm. Vern is always getting the firm new clients and trying to become a partner in the business. Mr. Honeywell will not let that happen. How about Mr. Todd?? You never get to see him. There is a cast of characters to add to the fun. Hilary Brooks as Vern's on/off girlfriend, Don Hayden as Margie's on/off boyfriend, and Gertrude Hoffman as crazy old Mrs. Odetts.